Originally scheduled for 23rd July (but postponed due to Springsteen's recurring throat infection), the 30th September 1978 performance in Atlanta offers a valuable snapshot of The Boss in his energized, formative years. The show was broadcast on twenty FM radio stations in the southern eastern states, one of five such broadcasts during the Darkness On The Edge Of Town Tour, a fact that surely announces his arrival as a musical icon. Maybe it's the freshness and vitality so effectively displayed here that derives from a desire to impress a large radio audience largely unfamiliar with his work. Maybe it has something to do with the inspiring energy and enthusiasm that would become a Springsteen trademark or the anticipation of a welcome break following the next night's performance. Whatever the reason, Springsteen's 1978 Darkness shows are something to truly behold and survive as a joyous testament to his legacy. 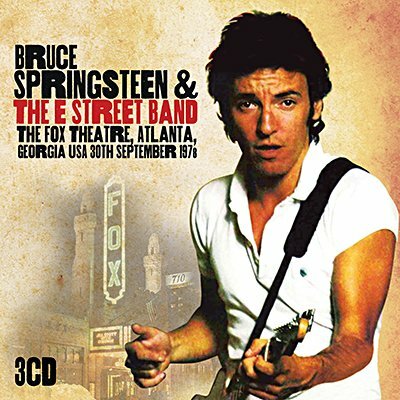 Echoes very proudly presents the entire FM broadcast of Bruce Springsteen's legendary performance at The Fox Theatre, Atlanta, Georgia from 30th September 1978. It easily confirms the honest authenticity in his work and again inspires further critical applause for the man they call "The Boss".